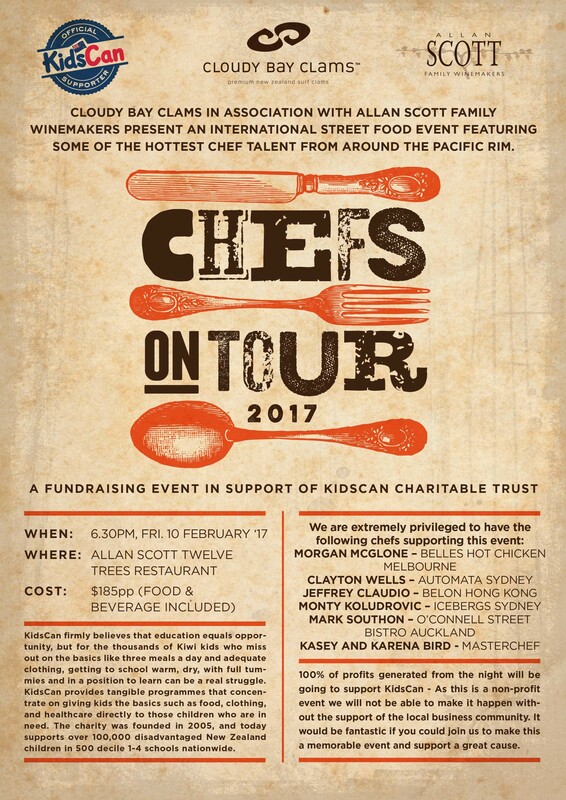 Following the success of the inaugural event in 2016, in which we raised almost $20,000 for KidsCan, we have teamed up with Cloudy Bay Clams to do it all again for this wonderful charity. On Friday 10 February (the night before the Marlborough Wine & Food Festival) the Allan Scott Courtyard and Gardens will be buzzing with celebrity Chefs, amazing street food, brilliant entertainment, and let’s not forget the delicious Allan Scott Wines! !